Sat., Sept. 16, 2017, 5:13 p.m.
FREEPORT, N.Y. – A dog that disappeared in Florida in February 2016 has been found in New York. 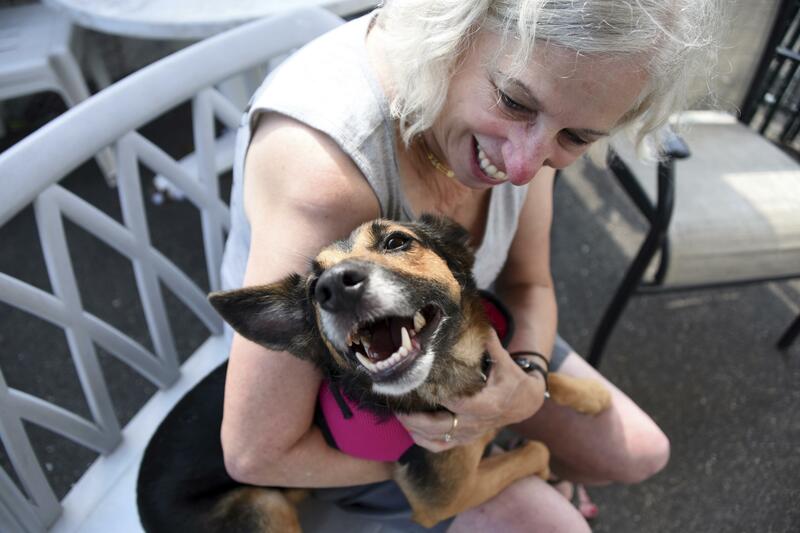 A woman who said she found the German shepherd-Jack Russell Terrier mix brought it last week to a Long Island and New York City rescue group called Bobbi and The Strays, which traced its microchip and tracked down its astonished family in West Palm Beach, Florida. “I had said many times, ‘They’re going to find that dog. They may not find that dog alive, but somehow, some way, they’re going to find the chip on that dog and they’re going to be calling us,’” Rick Moneck told the Associated Press in a phone call Saturday. Nonetheless, the news came as quite the shock. Moneck told Newsday, which first reported the story, that his family adopted the “beautiful” and “well-behaved” dog, named Relay, as a puppy in 2014. One day, Relay set off to explore. The family scoured the area and put up fliers. “The lady in the gas station said she saw a man call the dog over and walk away with the dog,” Moneck said. A blurry video appeared to show a man putting Relay into his car. In addition to the chip, Moneck said, Relay had left home wearing “a brand new collar, a leather collar, with her name in brass” – and his son’s name, address and phone number. However the dog got to New York, it’s about to experience some more mileage. Bobbi and The Strays has been looking for a volunteer to drive Relay to Florida. Published: Sept. 16, 2017, 5:13 p.m.